Missler believes that space alien UFO contacts are “interdimensional” visitors. Alien phenomena that interact with earthlings are explained by certain quantum physics theories. Missler’s quantum ideas are borrowed from old occult sources and the New Age movement. He also relies upon certain quantum physicists who have applied mystical meanings to their scientific research. Once again, while reading Chapter 4, I discovered that I had a prior familiarity with the topics that Missler is addressing. I was first taught this new mystical physics – not in science classes – but in educational psychology classes in the 1970s. One of my professors came out of Stanford University where he had frequent ongoing contact. I was also taught consciousness as part of holistic education – that the nature of reality is in our mind, that to transcend our limitations we need expand our minds and experience a deep inner paradigm shift, that we are not separate but all interconnected to the whole, and that our minds can change the cosmos. It wasn’t until the 1980s that I first read Marilyn Ferguson’s book launching the New Age movement, The Aquarian Conspiracy: Personal and Social Transformation in the 1980s. After reading her book I finally understood that the strange “physics” that I had been taught in college wasn’t just eastern mysticism, it was also New Age metaphysics. The purpose of Chapter 4 is to lay the groundwork for explaining UFOs. Missler’s first suggestion is that these “Intergalactic Visitors” might travel through “wormholes” – “a shortcut through both space and time,” citing research done by Kip Thorne, Michael Morris and Ulvi Yurtsever. Kip Thorne is also popular in the science fiction world because of his speculative works. The theories about time travel and wormholes have captured the imagination of fiction writers and especially Hollywood. The popularity of “wormholes” in particular in the culture-at-large, a huge amount of pseudo-science is mixed up with physics. One can see an example of a portal/wormhole in the recent science fiction movie Thor in The Avengers series. In fact, I have written about “wormholes” previously because some evangelicals in the New Apostolic Reformation (NAR) have adapted this as a quantum spirituality paradigm, which they refer to as “portals” between “heaven” and earth. Accessing these portals for them becomes a means for “dominion,” i.e., bringing heaven to earth. 10 Universes in the Kabbalah? Nachmonides, in his study of Genesis One, eight centuries ago, inferred that the universe had ten dimensions: he concluded that four were discernible; six were "unknowable." This is consistent with the current conjectures of cosmological physics. Trying to make sense out of this strange development, I kept researching. 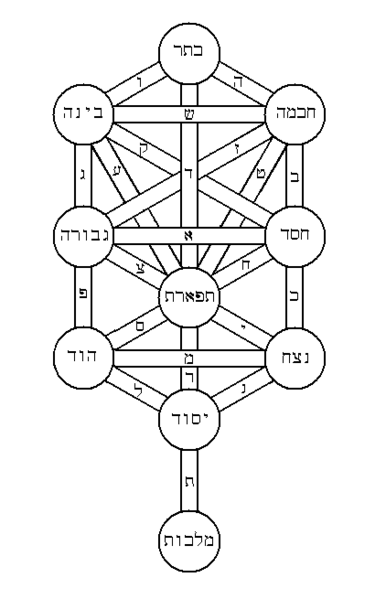 I found out that Nachmonides’ work on the Kabbalah (also spelled Cabala) is considered significant in the history of metaphysics. These “ten dimensions” are a clear reference to the ten Sephiroth (Sefirot) of the Kabbalah, which posits a metaphysical cosmology. 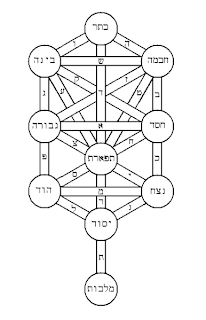 The ten Sephiroth are “almost always depicted as circles and often shown grouped and interconnected in a diagram known as the ‘Tree of Life,’” and “delineate the stages of God’s progressive self-manifestation which, according the Kabbalah, represents God’s dependence upon man. The Sephiroth is sometimes mystically conceived as “expressing the underlying structure of nature itself and of every created being.” If this sounds familiar it is because it so closely resembles the esoteric teachings in the New Age that we are all one, we are all connected, and we are all becoming god. Why was Missler using imagery from the Kabbalah? Wasn’t it sufficient to simply quote quantum physics scientists and theoreticians? In physics, three dimensions of space and one of time is the accepted norm. There are theories that try to unify different forces and such—these theories require more dimensions. Superstring theory, M-theory and Bosonic string theory respectively posit that physical space has 10, 11 and 26 dimensions. These extra dimensions are said to be spatial. However, we perceive only three spatial dimensions and, to date, no experimental or observational evidence is available to confirm the existence of these extra dimensions. A possible explanation that has been suggested is that space acts as if it were "curled up" in the extra dimensions on a subatomic scale, possibly at the quark/string level of scale or below. An analysis of results from the Large Hadron Collider in December 2010 severely constrains theories with large extra dimensions. I discovered that the subject of other dimensions creates much speculation, argument and controversy in the scientific community. Plus, this high intellectual level of physics is not easily explained or understood by lay people. Thus it lends itself to arcane teachers of metaphysics, who spiritualize the abstract, especially New Age leaders. And even certain physicists have entertained mystical interpretations to their research, as I was about to find out. had some very peculiar properties in his resurrection body... [and] enjoys a dimensionality that allows him to enter and leave a 6-sided space, apparently without passing through any of the six sides. And that's the kind of thing that only a mathematician can deal with. In fact I've encountered some that argue from that, that he must enjoy at least 11 dimensions. If the nature of reality is itself holographic, and the brain operates holographically, then the world is indeed, as the Eastern religions have said, maya: a magic show. Its concreteness is an illusion. What appears to be a stable, tangible, visible, audible world, said Bohm, is an illusion. It is dynamic and kaleidoscopic—not really “there.” What we normally see is the explicate, or unfolded, order of things, rather like watching a movie…. 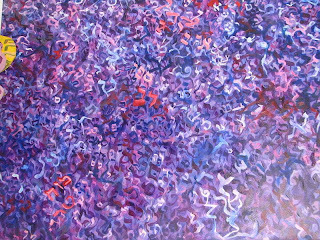 …all apparent substance and movement are illusory. They emerge from another, more primary order of the universe. Bohm calls this phenomenon the holomovement”…. In a nutshell, the holographic supertheory says that our brains mathematically construct “hard” reality by interpreting frequencies from a dimension transcending time and space. The brain is a hologram, interpreting a holographic universe…. There seems to be growing evidence to suggest that our world and everything in it may be only ghostly images, projections from a level of reality so beyond our own that the real reality is literally beyond both space and time. Another way to fall into an “evangelical existentialism” is to treat the first half of Genesis the way the existential theologian treats the whole Bible. The first half of Genesis is history, space-time history, the Fall is a space-time Fall, or we have no knowledge of what Jesus came to die for, and we have no way to understand that God is really a good God. Our whole answer to evil rests upon the historic, space-time Fall. There was a time before man revolved against God. The internal evidence of Genesis and the external evidences (given in the New Testament by the way the New Testament speaks of the first half of Genesis) show that the first half of Genesis is really meant to be space-time history—that is, space and time, the warp and woof of history. Just to double-check what I was researching, I decided to dig a little deeper. I was troubled by the physicists that Missler was constantly citing. I did a key word search on the physicists that Missler mentions most frequently – Bohr and Bohm – and this time added in Pribram. 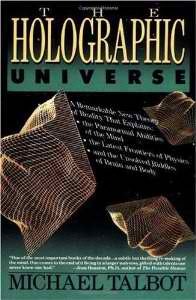 Up popped a book titled The Holographic Universe by Michael Talbot. I was shocked once again. It became quickly apparent that Talbot’s book served as a primary source for Missler’s metaphysical worldview. Talbot credited David Bohm and Karl Pribram with being “generous with both their time and their ideas” and credited Marilyn Ferguson and her book The Aquarian Conspiracy as one of his primary sources. Pribram's assertion that our brains construct objects pales beside another of Bohm's conclusions: that we even construct space and time. WE construct space and time?! This interpretation of quantum physics is essentially saying we are all little gods. Talbot’s New Age quantum spirituality thesis clearly influenced Missler’s idea of a “Holographic Universe” – to the extent that some of Missler’s key elements are obviously taken directly from Talbot. Why is all of this important? Because Missler uses Talbot’s New Age physics to also explain the paranormal – specifically UFOs and space aliens. Talbot proposes, “In a holographic universe, a universe in which separateness ceases to exist and the innermost processes of the psyche can spill over” and where “consciousness is the agent that allows a subatomic particle such as an electron to pop into existence” that UFOs “may be projections” of “collective mentalities.” In Talbot’s dreamworld, even “animals, plants, even matter itself may all be participating in the creation of these phenomena.” Isn't this just the type of occult thinking that was influencing Missler, who in turn influenced the rise of the Postmodern Prophecy eschatologies? Niels Borh was well aware of the parallel between his concept of complementarity and Chinese thought. When he visited China in 1937, at a time when his interpretation of quantum theory had already been fully elaborated, he was deeply impressed by the ancient Chinese notion of polar opposites, and from that time he maintained an interest in Eastern culture. 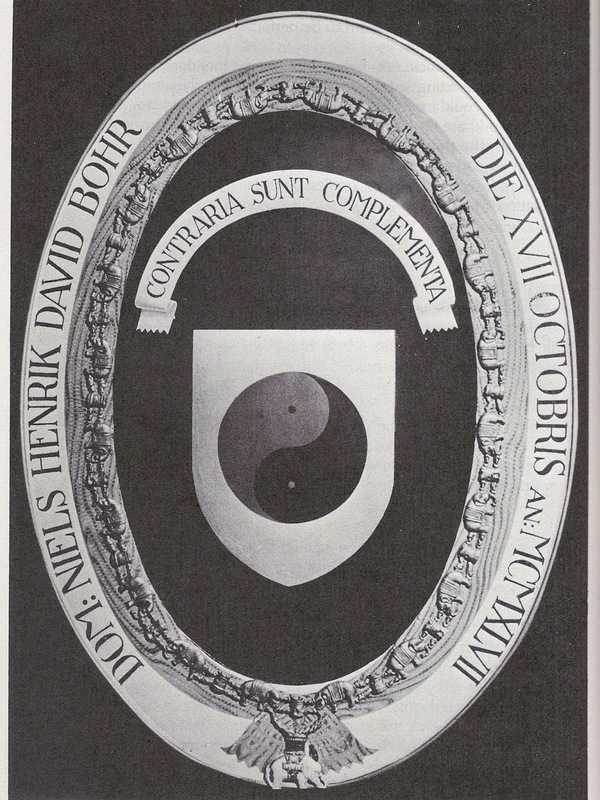 Ten years later, Bohr was knighted as an acknowledgement of his outstanding achievements in science and important contributions to Danish cultural life; and when he had to choose a suitable motif for his coat-of-arms his choice fell on the Chinese symbol of t’ai-chi representing the complementary relationship of the archetypal opposites yin and yang. 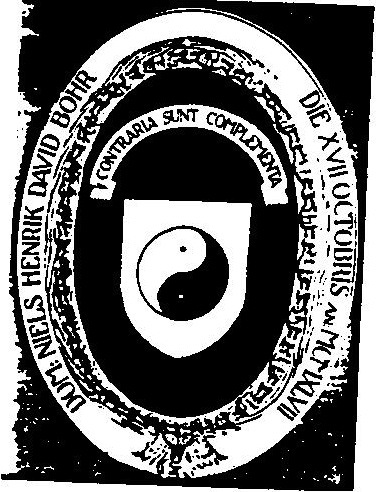 In choosing this symbol for his coat-of-arms together with the inscription Contraria sunt complementa (opposites are complementary), Niels Bohr acknowledged the profound harmony between ancient Eastern wisdom and modern Western science. In this section, Senge gets into the quantum theories that New Agers misapply to reality in order to offer evidence for their Eastern view that all is one. Senge is not using business or leadership principles here, but New Age interpretations of reality through a misuse of quantum physics. Senge refers to the hologram (p. 212), a New Age concept of the universe, and discusses this for several pages as a model of reality. The hologram model is pantheistic (all is God), or at least, panentheistic (all is contained in God). He also approvingly quotes Abraham Maslow, an architect of New Age thinking. To say science is a creation of a mental map implies that creation is not real (a Buddhist concept), but is only a tool with which we understand the perceived (but false) reality. For a Christian, science is the discovery of laws that God set in place to operate in His creation. He [Missler] states there are "NO ABSOLUTES" at the sub-atomic or quanta level and that we no longer can have the perceptions we once had as "nothing is real" HE HAS JUST DESTROYED GOD!!!! He then recreates God by stating that at the sub-atomic particle level all things are connected, not merely in locality but in communication. He states it is hard for us to conceive but you can take two quarks and separate them by the expanse of the universe and yet they will communicate with one another. God has just been redefined and all of his creation has become one with the creator BUT NOT THROUGH THE BLOOD OF CHRIST!! He then began his trail of "experts" that allowed him to arrive at these conclusions. It begins with a 13th century Jewish rabbi named Nachmonides who determined from studying Genesis that there are ten dimensions…. This is the foundation that he lays for his version of quantum physics, boundaries of reality and interpretation of our existence. Who hath measured the waters in the hollow of His hand, and meted out heaven with the span, and comprehended the dust of the earth in a measure, and weighed the mountains in scales, and the hills in a balance? Who hath directed the Spirit of the LORD, or being His counsellor hath taught Him? With whom took He counsel, and who instructed Him, and taught Him in the path of judgment, and taught Him knowledge, and shewed to Him the way of understanding?.... there is no searching of His understanding. 5. John Lash, The Seeker’s Handbook: The Complete Guide to Spiritual Pathfinding (Harmony, 1990), p. 321. This book is a New Age dictionary. 6. Alien Encounters, subheading p. 85. 7. This former Stanford professor also taught a class on Teilhard de Chardin. 8. Alien Encounters, p. 84. 12. Alien Encounters, p. 85. 13. Tom Horn interviews Chuck Missker, http://royalheir.blogspot.com/2010/06/ufo-disclosurecontact-part-13-dr-chuck.html “UFO Discloser/Contact, Part 13 - Dr. Chuck Missler,” 6/7/10. Vallee and Hynek have been mention in the previous sections of this book review. 14. Alien Encounters, p. 86. 16. At this point in my research, it is outside the scope of this book review to review Missler and Eastman’s previous work. 18. http://en.wikipedia.org/wiki/Nachmonides Note that there are many, many variations of the Kabbalah and its history, as well as many variations in how it is believed and practiced. Much of this is murky because it of its occult nature. 23. 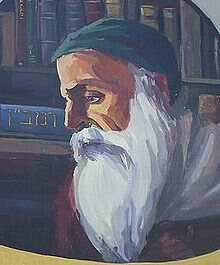 Other spellings or names for Nachmanides include Nachmonides, Rabbi “Menachem,” Rabbi Moses (Moshe) ben Nahman,” and Nahmanides. I am thankful for the extensive research that Dr. Martin Erdmann provided to me from his collection. 24. Glenn Alexander Magee, Hegel and the Hermetic Tradition (Cornell University Press, 2001), p. 165. An alternate history is that the “word Kabbalah itself… is found for the first time in the work of Ibn Gabirol (1021-1056).” Dr. Avram Davis and Manuela Dunn Mascetti, Judaic Mysticism (Hyperion, 1997), p. 178-179. There are many, many disagreements about the history of the Kabbalah but the roots do go back into various streams of the occult throughout the past few millennia. 26. Jewish Mysticism, p. 169. 39. The Aquarian Conspiracy, p. 150. 42. Alien Encounters, p. 87. 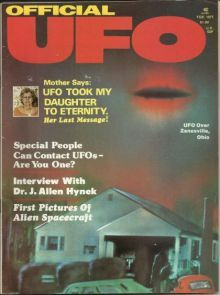 43. http://royalheir.blogspot.com/2010/06/ufo-disclosurecontact-part-13-dr-chuck.html “UFO Discloser/Contact, Part 13 - Dr. Chuck Missler,” 6/7/10. 44. “Beyond Perception: Supplemental Notes,” Koinonia House, 2010. http://nicolepark.info/sites/default/files/chuckMissler/Beyond_Perception_Notes.pdf. Note that Nachmonides’ 10 dimensions are referred to on page 17 and in the Bibliography at the end (p. 27) Maimonides' The Guide for the Perplexed and Nachmanides' Commentary on the Torah are both cited as sources. 46. The Aquarian Conspiracy, p. 46. Bold added. 49. Ibid, p. 180, citing the research of neuroscientist Karl Pribram, worked alongside Thomas Kuhn at Stanford. The footnote in The Aquarian Conspiracy on p. 178 says that Pribram "worked on his landmark book, Languages of the Brain, in an office next door to Thomas Kuhn, who was writing The Structure of Scientific Revolutions." 55. A Course in Miracles, Manual for Teachers (Foundation for Inner Peace, 1992) p. 85 [emphasis added]. This was at the top of the Herescope post on 11/14/07, “What is ‘Rethinking’?” I am grateful to Warren Smith for alerting me to the fact that quantum spirituality always leads to this type of New Age heresy. 57. The Aquarian Conspiracy, p. 172-173. This fact is also documented at http://en.wikipedia.org/wiki/Niels_Bohr and later in this review with a quote by Capra and a graphic. See Exhibits in this post. 60. Ibid, but the author wrote” But Bohr didn’t speak of it in that way, says philosopher of science Don Howard of the University of Notre Dame.” Page 23. Nevertheless, see Capra's quote later in this review. 63. Chuck Missler, “A Holographic Universe?” Featured Briefing, Koinonia House, http://www.khouse.org/articles/2012/1086/. Gaylene Goodroad included this quote in her article on Herescope: http://herescope.blogspot.com/2012/05/quantum-mysticism-in-church.html. This quote is also found here: http://www.ucbdirect.com.au/items/koinonia-house~chuck-missler-/special-collection/11709DVD-detail.htm and http://www.khouse.org.uk/store/product/201/holographic-universe. Note that Missler has continued this theme of a holographic universe over the years. 64. Dr. Francis Schaeffer, Two Contents, Two Realities. This was a “position paper” he sent to the International Congress on World Evangelization in Lausanne, Switzerland, 1974 at a time when the evangelical world was beginning to fall into the emerging mindset of eastern mysticism. The Complete Works of Francis A. Schaeffer: A Christian Worldview, Volume 3: A Christian View of Spirituality (Crossway, 1982), p. 409. 66. Gaylene Goodroad pointed out to me that portions of Missler’s Cosmic Codes are pulled straight out of Talbot’s book without proper attribution. 67. The Holographic Universe, “Acknowledgements.” Talbot says that his chapter 2 “is actually just a slight rephrasing of the words Ferguson uses to summarize” about Bohm and Pribram’s conclusions. 69. Ibid. p. 54. Italics in original. 70. Ibid. p. 55. Italics in original. 71. See footnotes 60-61. More will be written on this topic later. 72. The Holographic Universe, p. 284-5. Talbot is borrowing heavily from Carl Jung for his ideas that our dreams and our psyches create reality. But he extends it to all of the cosmos. In this section he is attempting to explain UFOs as both real and an illusion we create by our collective unconscious. 74. Published by Intersystems Publications, 1980. I spoke about Holonomy at several Discernment Ministries conferences in 1997 and 1999 when describing the formation of the cell church model. 76. Holonomy, p. 46, quoting Fritjof Capra’s 1975 Tao of Physics, p. 160. 77. Fritjof Capra, The Tao of Physics: An Exploration of the Parallels Between Modern Physics and Eastern Mysticism (Shambhala, 2010), p. 160. 80. Marcia Montenegro’s Notes, July 2012, reviewing The Fifth Discipline: The Art and Practice of the Learning Organization, by Peter Senge, “a Zen Buddhist and New Ager,” who has had considerable influence on the formation of the Emergent Church movement. Senge was quoting Bohm on page 222. See: https://m.facebook.com/note.php?refid=52&note_id=10150999855393468 which was republished and revised as “Peter Senge: A New Church Shaman?”, January 2013, http://christiananswersforthenewage.org/Articles_PeterSenge.html#top See also: http://www.crossroad.to/Excerpts/community/system-theory.htm. 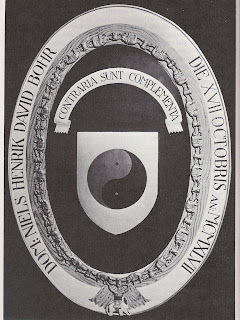 Figure 3: Neils Bohr's yin-yang coat of arms as depicted on page 144 of Fritjof Capra's book The Tao of Physics: An Exploration of the Parallels Between Modern Physics and Eastern Mysticism (Shambhala, 2010), p. 144. “Space-Age myth” does not imply that UFO sightings or encounters with angels, aliens, fairies, sprites, elves, or demons are fantasies. Rather, it suggests that some of these experiences may literally be psychophysical, blurring conventional boundaries between objective and subjective realities. Some may object that this proposal doesn’t account for the physical traces associated with some UFO reports, but this misinterprets what [Carl] Jung and others [Jacques Vallee, ed.] have proposed. They suggest that the manifest world emerges from mind, that is, that mind shapes matter. Where have we heard this before? In his book Global Mind Change, former IONS President Willis Harman… argued… consciousness is primary, and matter and energy are emergent properties of consciousness. Quantum spirituality… is most importantly a structure of human becoming, a channeling of Christ energies through mindbody experience. Chapter 3 of Alien Encounters: The Secret Behind the UFO Phenomenon by Chuck Missler and Mark Eastman, titled “Interdimensional Visitors,” is a short course in UFO folklore. It reviews the most well-known incidents of UFO sightings. American readers have been exposed to the famous UFO stories of the past 6-7 decades, especially the Roswell, New Mexico incident, which has become the baseline for subsequent UFO accounts, and the subject of Hollywood movies. Missler re-hashes these familiar public stories, but with an obvious bias towards belief in flying saucers. When I examined the UFO community as a whole, especially following the leading “experts” and “sources” of information that Missler says are reputable, I discovered there are amazing breakdowns in scientific credibility. This is because the UFO folklore community by and large functions as an offshoot of the New Age Movement. It is nearly impossible to separate UFO fact from fantasy, and even some of the leading scientific experts mix the two together. Missler attempts to make a separation by pointing out that “the vast majority (more than 90 percent) of UFO sightings can be explained by natural and man-made phenomena,” but in his book he chooses to focus only on those “which defy any physical or ‘natural’ explanation.” And this ten percent is precisely where most of the mystical UFO culture flourishes. At this point, still early on in the book, I wish I could say that Missler represents a sane voice amidst all of the UFO hysteria, but sadly he is not. I had sincere hopes that an esteemed evangelical leader of his caliber would step into the fray, become a voice of reason, and point people to the Gospel truth and scientific facts. But Missler becomes part of the problem. He continually references New Age and occult UFO sources as though they are credible experts. He then attempts to integrate New Age UFO lore with both quantum spirituality and quantum physics. Ultimately he will use his integrated thesis to craft a new eschatological paradigm. Real cover-ups are common enough, but any event which is not completely clear is likely to give rise to a thicket of conspiracy theories alleging covering up of sometimes the most weird and unlikely conspiracies. Here is a tip: Next time you read about a massive government cover-up from one of these sources, start asking questions about its validity. There are indeed government cover-ups—no one doubts this—just read the current news! But here we are talking about the act of CLAIMING a cover-up, which can also SERVE as a cover-up! Asserting that there is a cover-up can serve as a way to avoid having to deal with real facts, true science and documentable proof. Anyone can state anything based on the “massive government cover-up” assertion. For instance, we could insist that “little pink elves live on Pluto and NASA isn’t telling us” – and how could it be disproven? It can’t! Yet, it also can’t be proven. Missler works very hard to assert the factual reality of UFOs, borrowing heavily from some of the leading UFO advocates. Why is it so necessary for him to establish the reality of UFOs? Missler’s thesis in Alien Encounters pivots on establishing that UFOs are real – and he carefully defines them the exactly the same way they are described by leading UFO advocates. Both Hynek and Vallee (pictured above), while credentialed scientists, resorted to explaining UFO encounters in psychic terms. And this is a recurrent problem throughout UFOlogy. Separating the science from the psychic becomes very difficult. They are most often intermingled. And Missler engages both. The Project Bluebook, a series of systematic studies of unidentified flying objects (UFOs) conducted by the United States Air Force, is discussed by Missler throughout his text. It was a controlled study of UFO phenomena by the government, and its foregone conclusions were disappointing to those who wanted the government to admit the existence of extraterrestrials. It became yet more evidence of a cover-up. The “files of Vallee and Hynek are some of the best-documented cases of UFOS which defy conventional physical explanation,” concludes Missler after recommending (again) the reader “see [Vallee’s] book Forbidden Science” for “an in-depth look.” So I decided to take a deeper look at Vallee. Physics is increasingly becoming the study of matter so small (is it a wave? Is it a particle?) as to become the study of consciousness. In other words, physics is becoming metaphysics. The coming together of the new biology and the new physics is providing the basic metaphors for this new global civilization that esteems and encourages whole-brain experiences, full-life expectations, personalized, personalized expressions, and a globalized consciousness. Since most UFOlogy is based on an evolutionary view of the universe, and assumes the end-goal of mankind’s unity will result in a “cosmic consciousness,” there are many similarities and parallels. Many of the UFOlogists also believe in an evolutionary consciousness “out there” – some sort of untapped human/alien potential that will unlock humanity’s future. John A. Keel (March 25, 1930 - July 3, 2009) was an American journalist and influential UFOlogist best known as the author of "The Mothman Prophecies." In the 1950s, he spent time in Egypt, India, and the Himalayas investigating snake charming cults, the Indian rope trick, and the legendary Yeti, an adventure that culminated in the publication of his first book, "Jadoo." In the mid-1960s, he took up investigating UFOs and assorted forteana and published his first knockout UFO book, "UFOs: Operation Trojan Horse," in 1970. The book shredded the then trendy nuts-and-bolts extraterrestrial hypothesis for UFOs in favor of one that linked UFOs to a variety of paranormal and supernatural phenomena that have taken place throughout history. His third book, UFOs: Operation Trojan Horse published in 1970, linked UFOs to supernatural concepts such as monsters, ghosts and demons. In Our Haunted Planet published in 1971, Keel coined the term "ultraterrestrials" to describe UFO occupants he believed to be shape-changing, non-human entities. Why cite these men and their theories? It seems important for Missler to initially establish that “UFOs may not travel by conventional means in our space-time domain” for developing his “superphysics” theory. “He also quotes from the “Physicist Jacques Lamatre” (an alias) who used the phrase “Einsteinian Continuum” in an article published in Flying Saucer Review, yet another UFO magazine. Up to this point in the chapter the discussion has simply been about flying saucers – UFO craft sightings and reports of their strange maneuvers. But suddenly Missler adds into the mix the element of an extraterrestrial space alien “pilot,” stating that “UFOs and their humanoid ‘pilots’ are not simply physical entities confined to our three dimensions of space-time.” This goes beyond merely talking about strangely behaving unidentified flying objects (UFOs), but leaps to the assumption that there must be “humanoid ‘pilots’.” How does Missler know these machines (if they are indeed machines) have pilots? How does he know that the pilots are humanoid? From whence did he derive this assumption? Missler further speculates, “As we approach the end of the 20th century, radical new theories about the nature of our universe and the behavior of UFOs have suggested to many researchers that UFOs and their humanoid counterparts emerge from a dimensional reality beyond our space-time domain.” So now “humanoid counterparts” to UFO crafts are thrown into his mix. [I]n his 1962 book The Structure of Scientific Revolutions (University of Chicago Press). Kuhn, a scientist in academia, broke ground by applying Hegelian dialectics and existential thought to the field of science. He proposed that science itself is evolving and has no absolutes. Kuhn described science as a series of rocky shifts throughout history, created by a crisis when the old scientific model encounters new information that doesn't fit. When enough new information is accumulated, a "revolution" would occur and a new scientific paradigm would emerge; e.g. Newtonian science gave way to Einstein's theories…. New Agers and socio-political transformers took Kuhn's ideas to heart and applied it to the planned emergence of a new global mystical and political structure. Marilyn Ferguson cited Kuhn's ideas as significant, for example, in her 1980 book The Aquarian Conspiracy, which launched the New Age movement into the popular culture. So when Missler states that “our physical reality is actually a subset, a shadow of a larger reality,” he is not just explaining a scientific belief, but also making a theological statement. If reality (truth) itself is changing then there are no absolutes, and the truth is not rational in science, cosmos or history. Integrating spirituality with quantum physics becomes a dialectic process. “What is truth?” becomes variable, indefinite and unknowable. The late Dr. Francis Schaeffer, in his classic work The God Who Is There, spoke against this sort of non-reason, reminding us: “God has spoken, in a linguistic propositional form, truth concerning Himself and truth concerning man, history and the universe.” In other words, truth is reality found in God’s Word. There is not an emergent reality with alternative truths. This research brought me back to Jacques Vallee. Vallee incorporated the psychic, psychological, cultural and physics into his conceptions of UFOs as hyperdimensional entities. Vallee’s integrated thesis began to change the way the UFO advocates looked at science and reality. And it was affecting Missler as well. I began by looking into one of the Missler citations for Vallee’s Forbidden Science, which is repeated many times in Chapter 3. I found it on Amazon, a two-volume work, and the subtitle of the second volume is “California Hermetica,” a clear reference to the occult Hermeticism. 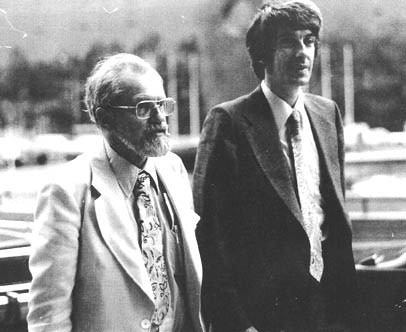 One of the customer reviews made the curious statement that Vallee’s “insights into the parapsychology research at Stanford in the 1970s are priceless, and his anecdotes of Anton LaVey are original as well.” Another customer review mentioned Vallee’s association Anton LaVey, and also the well-known LSD experimenter Timothy Leary. Who is Anton LaVey? The grainy photo above, said to be of Vallee, LaVey and Aime Michel, appears on many UFO lore Internet sites. Vallee also mentions Anton LaVey in his book The Network Revolution: Confessions of a Computer Scientist. The reference to “Stanford” in the quote above the photo concerns the Stanford Research Institute (SRI). Herescope has published much information about SRI’s Willis Harman in previous posts due to Harman’s influence over evangelical leaders in the late 1970s. Harman lobbied them to change their eschatology of the future. Harman was a “futurist,” working on developing a New Age paradigm for the future. He was president of the Institute of Noetic Sciences (IONS) from 1975-1997. IONS has been working on developing a New Age view of science that would incorporate psychic phenomena and the paranormal, a psychic science. This research includes topics such as spontaneous remission, meditation, consciousness, alternative healing practices, consciousness-based healthcare, spirituality, human potential, psychic abilities and survival of consciousness after bodily death. The UFO phenomenon is unsettling enough, but that discomfort is significantly heightened when one considers its first cousins: crop circles, orbs, men in black, alien contact and abductions, telepathic communications, and so on. This phenomenological complex bears a resemblance to experiences reported in shamanic, psychedelic, mystical, religious, and psychic states, and to folklore, mythology, and religious lore. Perhaps these apparently disparate phenomena may all be connected in some way. Interestingly enough, one of the inspirations for Carl Jung’s collective consciousness philosophy was the esoteric and racial teachings of Theosophy founder Helena Blavatsky. Indeed, Carl Jung pursued paranormal phenomena and was deeply involved in psychic research. Jung had a passionate interest in UFOs and even wrote a book Flying Saucers: A Modern Myth of Things Seen in the Sky before he died. It is not surprising that Jung’s idea about a “collective unconscious” has infiltrated the UFO movement. It serves as a convenient metaphor that harmonizes with psychic physics. Note the reference above to Vallee’s “ideas about other-dimensional forms of consciousness.” This is not a scientific statement about hyperdimensional theories in quantum physics. Vallee, like many other UFOlogists goes far beyond the science of physics and delves into metaphysics. And Missler follows him there. In light of Vallee’s experience with SRI, and knowing SRI’s focus on human psychic psychology, I continued researching. I found a particularly disturbing revelation that Vallee made in an interview: that some of the UFO incidents were “staged for the benefit of witnesses, perhaps so that their psychological reactions could be studied.” He suggested that the “military may be experimenting with psychological warfare techniques” and “that sham UFO reports might be used as cover for tests of new military stealth technology.” He said that “in some of the cases I've investigated, the deception hides a mind-control experiment.” Vallee offered an alternative “conspiracy theory” – could elaborate and sophisticated UFO hoaxes be orchestrated for the purpose of studying group hysteria and psychological manipulation? Vallee poses is that from time to time, the target of UFO hoaxes might be the general public, or a segment thereof. Government experiments of this nature are entirely possible. But then Vallee leaps to propose an alternative reality scenario based on the idea of a cosmic consciousness that operates like a computer, appearing or disappearing through other dimensions. Interviewer: So reality is like a computer database in that the right search word or "incantation" might cause a piece of information--a UFO or ghost or other anomaly--to materialize. Vallee claimed that a “graph of ‘waves’ of UFO activity” that he plotted in the 1970s “pointed out that it resembled a schedule of reinforcement typical of a learning or training process: the phenomenon was more akin to a control system than to an exploratory task force of alien travelers.” In other words, there was operant conditioning going on! He then asks the obvious question—was this manmade? Or did it come from another source? He thinks there are “very sophisticated devices now being used in psychological warfare to create holograms, to create visions to influence people” that could “destabilize” them. Some of this he linked back to his experiences with SRI, which makes sense. By this time in my research on Vallee, my over-active imagination was dwelling on this horrible possibility that there could be an “intelligence” operating behind a freakish behavioral programming operation. If there is a “consciousness” controlling these “alien encounters” it is so obviously demonic! And if that is true, then why are Christians being so gullible and falling for these deceptions?! I recalled that Constance Cumbey used to warn us back in the 1980s about a New Age plan for a sophisticated psycho-techno-spiritual “staging” of a “New Age Messiah”! The big problems in the world are the problems of fundamentalism and religion--whether it's Islamic or in other forms of religion. Those are the great destabilizing forces in the world today. Well, belief in Extraterrestrials coming here to save us can be induced in large masses of people with the technical means that exist today. …the UFO research community is a useful laboratory in which to observe the effects of propaganda and disinformation, since it is driven in large part by an intent to expose "the coverup." This creates an opportunity for people to masquerade as good guys and "reveal" all sorts of unverifiable rumors. They meet with a receptive audience because the context is one of "independent inquiry of original, bold, nonconformist ideas. Does that mean we should necessarily believe the man who claims he was in NATO intelligence and saw a classified document about the four humanoid races that live on the moon? I don't think so. As I read through Missler’s re-hash of all of the most familiar UFO incidents, it seemed strange that “conspiracy” and “cover-up” were his constant theme. Why does a Christian need to fixate on things that are hidden, secret, and can never be known for sure? The research rabbit trails for each and every example in Alien Encounters take the reader immediately into the New Age UFOlogy realm. Here it becomes very difficult to extricate oneself from the rampant occultism. A weak or fragile believer could easily become entangled in the unholy and unwholesome, not to mention scary, UFO stories. The only reason I even remotely understood the terrible ramifications of what I was researching is due to my own background in the occult! For reasons that are not entirely clear, Missler in Chapter 3, along with other UFOlogists, seems to believe that it is necessary for the government to validate all of their sightings and experiences. But is this the role of government for the Christian? Shouldn’t we instead be searching the authority of Scriptures for wisdom and truth concerning how WE, as believers, should respond to paranormal experiences? Scripture actually has a lot to say to us on this topic, especially warning us to be not deceived! In the end, for believers it really doesn’t matter what the government does or doesn’t do, or who is covering up. We should eagerly anticipate that Jesus Christ is coming again soon, and trust He sovereignty over all of creation. So why should we be consumed with panic and paranoia about claims of UFO invasions and the government’s alleged cover-up? Shouldn’t we be more concerned about the eternal destiny of all of those who do not believe in Jesus Christ as Lord and Savior – especially all of these New Age UFO folklorists who are so obviously deeply involved in the occult, and who don’t know the Truth of the Gospel of Salvation message? Where is our focus? They need to hear the Gospel, not a re-hash of their New Age theories re-packaged for an evangelical audience! The death of drug optimism and the decline of the New Left at the end of the 1960s has given rise to another crucial factor. A transcendental mysticism (which took many forms) came to the fore. Basically, what united the various forms of transcendental mysticism is a down-playing or a denial of reason. It is an attempt to find a different kind of trip, a trip produced by something other than drugs. Some of it is straight Eastern thinking, some an amazing mixture of mysticism and the occult, and some is demonic…. [T]his transcendental mysticism gives no answers, and they glory in this as though it were something new, all white and shining. Many decades ago when I was entranced by the occult, I found myself on never-ending paths that were circuitous, swirling, spiraling –never coming to a conclusion and never satisfying with an answer. This is how the occult mysteries operate. They draw the seeker deeper and deeper into the murky labyrinths. It is the same way with UFOlogy! “Ever learning, and never able to come to the knowledge of the truth” (2 Tim. 3:7a). Thankfully, the Scripture promises believers in Jesus Christ that “The Lord knoweth how to deliver the godly out of temptations,” (2 Peter 2:9a) and “the Lord shall deliver me from every evil work” (2 Tim. 4:18a). 5. Alien Encounters: The Secret Behind the UFO Phenomenon, by Chuck Missler and Mark Eastman (Koinonia House, 1997), p. 79. 7. Alien Encounters, for example, Footnote 76 cites the Lawrence Fawcett and Barry J. Greenwood 1984 book Clear Intent: The Government Coverup of the UFO Experience. 9. Ibid, e.g., p. 56. 10. Ibid, e.g., p. 58. 13. Alien Encounters, page 61. 16. Ibid, footnote 78, p. 347. The footnote only mentions the first word in the title, but Missler is referring readers to the following three books by Vallee: Confrontations – A Scientist's Search for Alien Contact (1990), Revelations : Alien Contact and Human Deception (1991), and Dimensions: A Casebook of Alien Contact (1988). 17. Ibid, footnotes 80-81, p. 348. 19. Alien Encounters, footnote 83, citing Hynek’s book The UFO Experience: A Scientific Inquiry. Hynek’s book Edge of Reality is quoted at the head of Chapter 3 of Alien Encounters, p. 53. 20. http://en.wikipedia.org/wiki/J._Allen_Hynek citing Curtis Fuller's 1980 Proceedings of the First International UFO Congress (New York: Warner Books), p. 157-163. 23. Alien Encounters, p. 75. 24. Leonard Sweet, Quantum Spirituality: A Postmodern Apologetic (Whaleprints, 1991). I am indebted to Warren Smith for these key insights. He has written extensively about Leonard Sweet. See chapters 10 and 11, in Smith’s book A “Wonderful” Deception (Lighthouse Trails, 2009). See also http://herescope.blogspot.com/2012/06/quantum-cosmic-christ.html and Tamara Hartzell’s website: http://www.inthenameofpurpose.org in which she has published several books, including her latest book “Reimagining” God, which has many chapters examining Sweet’s quantum theology. 25. Warren Smith also called my attention to Sweet’s quote, which can be found on page 181 of his book A “Wonderful Deception (Lighthouse Trails, 2009). The quote comes from Sweet’s Soul Tsunami, p. 109. Bold added. 26. Ibid, Soul Tsunami, p. 121. See chapters 10-13 of Smith’s book for an extended discussion of the newly emerging quantum spirituality. Bold added. 29. Alien Encounters, footnote 85. 32. Alien Encounters, footnote 98 citing Vallee’s Dimensions (pp. 252-253), and footnote 99 refers to Hynek’s 1975 book Edge of Reality. 34. Alien Encounters, pp. 78-79, quoting John Keel, Operation Trojan Horse, 1973, p. 182 (footnote 101, p. 349). 38. Alien Encounters, p. 79. 42. Ibid, p. 80-81, quoting from Vallee’s book Dimensions again, cited at footnote 103 on p. 349. 45. Italics in original. From Agobard, Against the Multitude’s Absurd Belief Concerning Hail and Thunder, chapter 2; translated by Wendy Lewis http://www.fordham.edu/halsall/source/Agobard-OnHailandThunder.asp, cited in “The Magonia Problem,” by David Halperin, http://magonia.haaan.com/2011/the-magonia-problem-david-halperin/, 7/16/13. 47. http://www.youtube.com/watch?v=54DRUR57Oos (YouTube video: Sid Roth with Chuck Missler, Dec. 2009; Part 1) http://www.youtube.com/watch?v=ypffadd7XPo (YouTube video: Sid Roth with Chuck Missler, Dec. 2009; Part 2) http://www.sidroth.org/site/DocServer/IS531Transcript_Missler.pdf?docID=2101 (Pdf transcript of program). On It’s Supernatural: Aliens, UFOs, are they real? A former Branch Chief of the Department of Guided Missiles says yes. 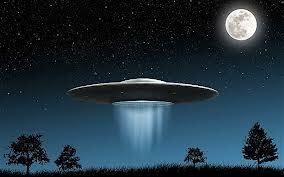 Discover the shocking truth behind UFOs, where they come from and what their End Time plan is. 51. Dr. Francis Schaeffer, The God Who Is There: The Complete Works of Francis A. Schaeffer: A Christian Worldview, Vol. 1, “A Christian View of Philosophy and Culture” (Crossway Books, 1982), p. 100. The entire discussion in Schaeffer’s book, and his classic work Escape From Reason, provides a Christian apologetic against such mystical postmodern thought. Yet, there is a whole new generation of believers who have not read these works. 55. For an overview of Hermeticism, see our Herescope articles: http://herescope.blogspot.com/2006/02/brave-new-breed-creatures-in-pursuit.html and http://herescope.blogspot.com/2007/07/as-in-heaven-so-on-earth.html Warren Smith has aptly noted in his many books and writings that the phrase "as above, so below" comes from Hermeticism. In the UFO context, the "as above" takes on new connotations! See Smith's website: http://www.mountainstreampress.org for many articles on this topic. 67. Dr. Martin Erdmann article, quote on page 34, and taken from Harman’s essay “Bringing About the Transition to Sustainable Peace” (Part One: “A Changing Worldview”). 75. In his extensive investigation into what gave rise to the psychic psychology beliefs of Carl Jung, Richard Noll in his book The Aryan Christ: The Secret Life of Carl Jung (Random House, 1997), reveals the importance of ancient mythology in creating this collective unconsciousness: “Blavatsky… was convinced that a careful study of the surviving artifacts of pagan antiquity could reveal key elements of the hidden ‘secret doctrine’ of the prehistoric ancestors of us all. Jung shared their views…” (p. 126). It is outside the scope of this review to comment on how much all of this has seemed to influence the Postmodern Prophecy Paradigm teachers. 76. Ibid. See also Noll’s earlier work, The Jung Cult (Princeton, 1994). 86. Vallee interview, Part 2, Ibid. 88. Professor Pan, “Attempted Manipulation of UFO manifestations,” http://www.redicecreations.com/specialreports/2005/10oct/UFOmanifestations.html, 10/26/05. 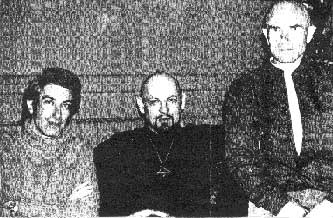 Note that this Satanic website includes a grainy photograph of Jacques Vallee with Anton LaVey and Aime Michel. 89. Alien Encounters, for example, Footnote 76 cites the Lawrence Fawcett and Barry J. Greenwood 1984 book Clear Intent: The Government Coverup of the UFO Experience. 90. Dr. Francis Schaeffer, The New Super-Spirituality, The Complete Works of Francis A. A Schaeffer: A Christian Worldview, Vol. 3, “A Christian View of Spirituality” (Crossway Books, 1982), p. 387. The graphic at the top of the page came from http://zionsgate.files.wordpress.com/2013/05/ufo-2.jpg. The context was an article reviewing Tom Horn's Exo-Vaticana book posted at http://zionsgate.wordpress.com/ and retrieved on May 3, 2013. Note that Missler's Koinonia House advertised Horn's book in its May 24, 2013 e-mail.